Neil Young, the legendary rocker, lives here on the Half Moon Bay Coastside. 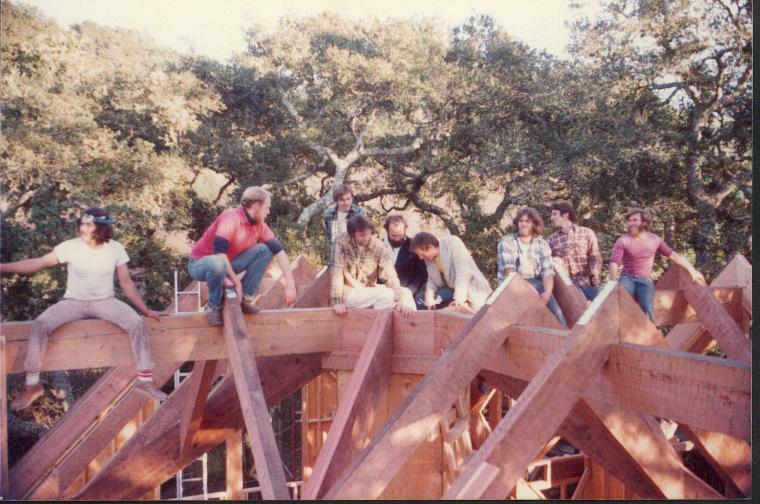 Enjoy this wonderful photo of him fooling around with local carpenters and craftsmen–including my ex-husband, John, at far right– taken some 30 years ago. Look for Neil Young in the center, seated on the framing, third from the left.